Iranian commander Amir Ali Hajizadeh says Israel will be destroyed if it ventures an attack on Iran. 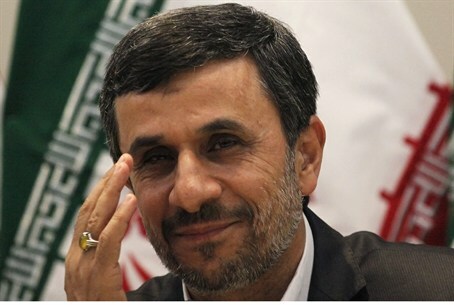 The Commander of the Islamic Revolution Guards Corps Aerospace Unit, Brigadier General Amir Ali Hajizadeh, threatened Israel on Sunday, saying it will be destroyed if it “ventures an attack” on Iran. His remarks were quoted by the Iranian IRNA news agency. A report in the Tehran Times noted that the Revolutionary Guards will start a three-day missile exercise, entitled the Great Prophet 7. The report quoted Hajizadeh as having said, “During the war games, long-range, medium-range, and short-range missiles will be used and will be fired from different points across the country at 100 designated targets. He also said that domestically manufactured missiles will be fired at bases modeled on airbases of the extra-regional powers, which have been constructed in the heart of the Semnan desert in north central Iran in order to allow experts to assess the precision and efficiency of warheads and missile systems. During the maneuvers, unmanned aircraft will carry out operations, Hajizadeh said. Meanwhile on Sunday, expanded sanctions by European countries against Iran went into effect. The sanctions ban nearly all imports of oil from Iran, and European companies will no longer be allowed to insure Iranian oil ships. Iran Central Bank Governor Mahmoud Bahmani said on Saturday that the Islamic Republic is "easily" selling its oil despite western sanctions, because some countries have received waivers from the U.S. to import Iranian oil despite the measures. Bahmani said Iran would take action against the sanctions, but did not specify what it had in mind. "We have not remained passive. For confronting the sanctions, we have plans in progress," he said.